Needless to say, 2017 was a full and busy year for Minimalist Baker. Because of that, it felt like the year flew by. Literally. 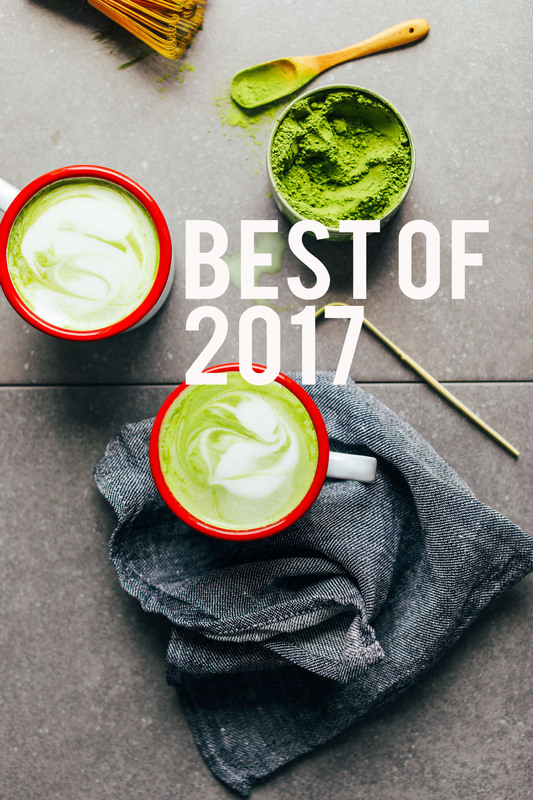 Before we cheers to a new year, let’s pour a drink and recap the highlights of 2017, shall we? First of all, we couldn’t have done it without you – our readers. Thank you all for your continued support. You all make it possible for us to love our day jobs and continue bringing you valuable content every week. If you’re curious as to how or why we started this blog and how it changed out lives forever (read: sit in our pajamas all day, testing cookie recipes), check out this post. It intros the story of how John and I decided to make this blog our full-time thing. More on that later*. But first, top recipes! Such a good mix of savory and sweet! I think you all are getting super into savory things here on Minimalist Baker, so expect much more of that in 2018 (starting with a sugar-free / no-sugar-added January!). This year we launched two new courses! 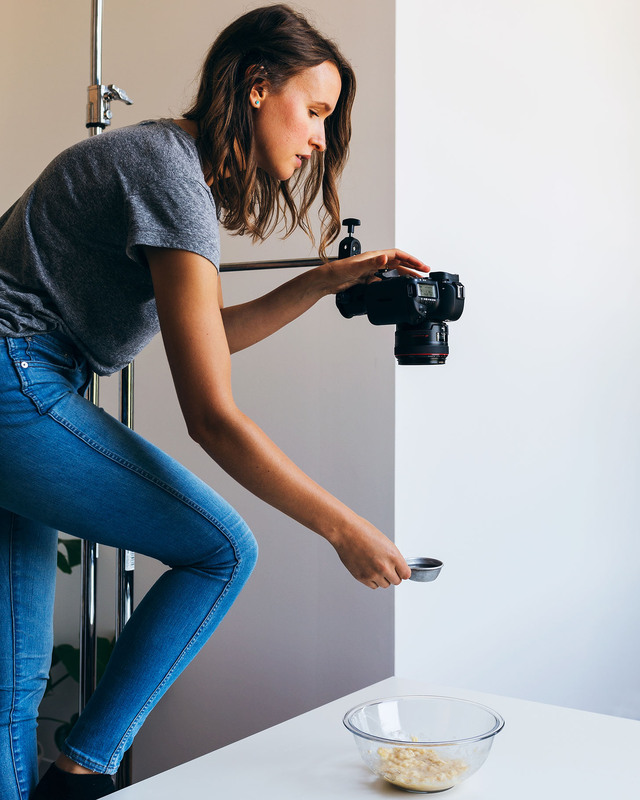 In August, we launched the NEW Food Photography School, which is an entirely video-based course that teaches you everything you need to know about taking amazing food photos. We also added a separate artificial lighting course that’s been rocking my world lately. Not having to take photos between the hours of 11am-2pm has been a revelation this winter! If you’re dabbling in food photography or have been taking photos for a while now and are ready to go pro, this is the course for you! Sign up here. We also launched Food Video School this year, which contains 100+ video lessons that show you step-by-step how to make amazing food videos and set your brand apart! If you’re new to food videography or ready to up your video game, this is the course for you! It’s crazy how much growth we’ve seen just because of food videos. Sign up here today! 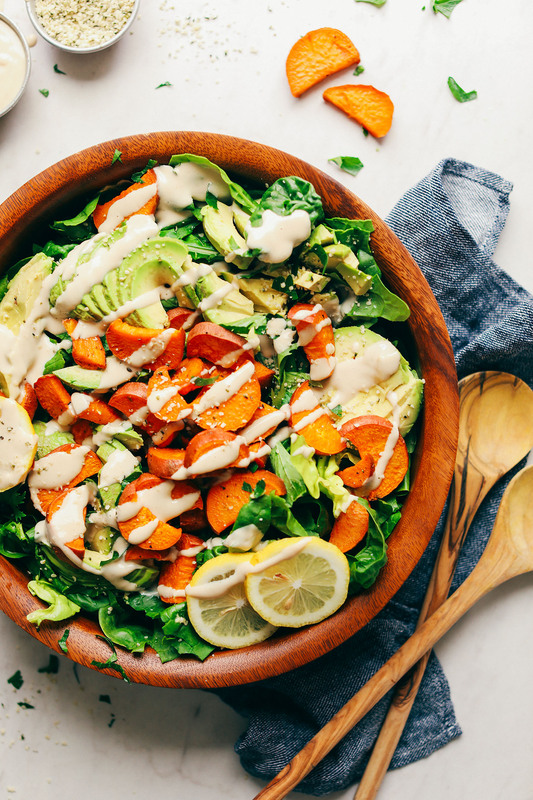 In 2017, we launched an updated version of 31 Meals ebook – which is now entirely plant-based! 31 meals is a meal planner that provides 31 easy, plant-based (mostly gluten-free) dinner recipes + 5 bonus dessert recipes, grocery lists, and meal plans for four weeks. That’s right – dinner is on us for a WHOLE month! If you’re short on time for prepping and planning or want to try out plant-based eating but don’t know where to start, this is the book for you! Get your copy here! 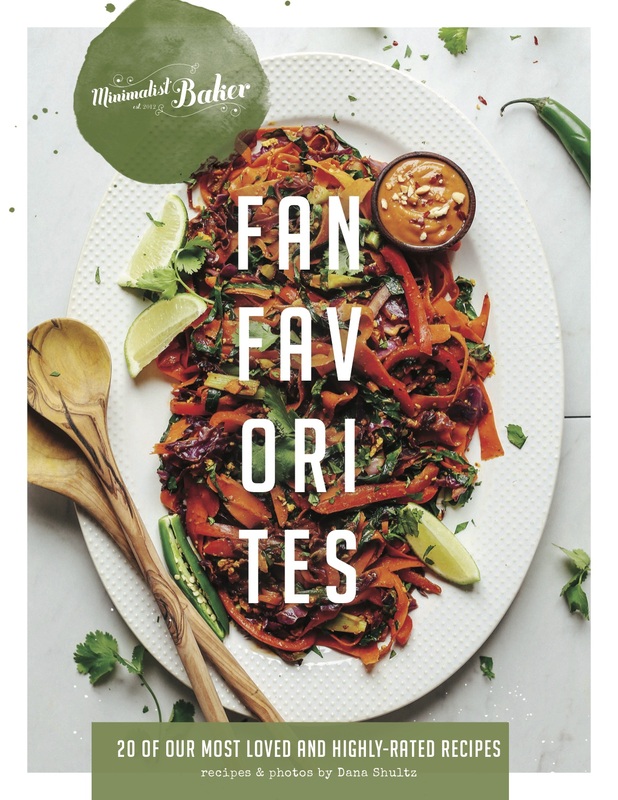 We also recently released our FREE Minimalist Baker Fan Favorites ebook (cover above), which includes 20 of our most loved, highly-rated recipes on the site! Expect everything from breakfasts to entrées and desserts. If you’re new to Minimalist Baker or have been around for a while and want to familiarize yourself with our classics, check it out! We still have our print cookbook, Minimalist Baker’s Everyday Cooking, which so many of you own and love (thanks for all the amazing reviews and feedback!). If you’re hungry for more Minimalist Baker recipes (or looking to gift someone a plant-based cookbook), get your copy here! Last year around this time, we introduced a FREE email course called How to Start a Food Blog Email Course. And SO many of you signed up and loved it that we decided to launch it again! If you’ve ever been interested in trying out this blogging thing (like we did*), this is the place to start. Simply sign up here for our FREE. Our How to Start a Food Blog Email Course walks you through step-by-step how to step up your very own food blog, covering everything from hosting basics to themes, website tools, and even monetization. What are you waiting for? It’s free! Sign up today. In 2018, expect more of what we’re doing but better! We are always trying to improve what we do here, including site functionality, speed, recipe quality and simplicity, and ways to engage all of you. In 2017, I focused a lot on plant-based gluten-free recipes, so expect plenty more in that arena. In addition, I’m excited to add more grain-free, nut-free, and sugar-free recipes for those of you who continue to request alternatives. Thank you so much for all of your support and love this year. We hope you enjoyed making our recipes as much as we enjoyed creating them. Happy New Year, friends! See you in 2018. Just wanted to drop a line and say that I LOVE your blog and Everyday Cooking cookbook. I finally went entirely plant-based a few months ago and have tried many of your blog and cookbook recipes since then, and they are awesome. 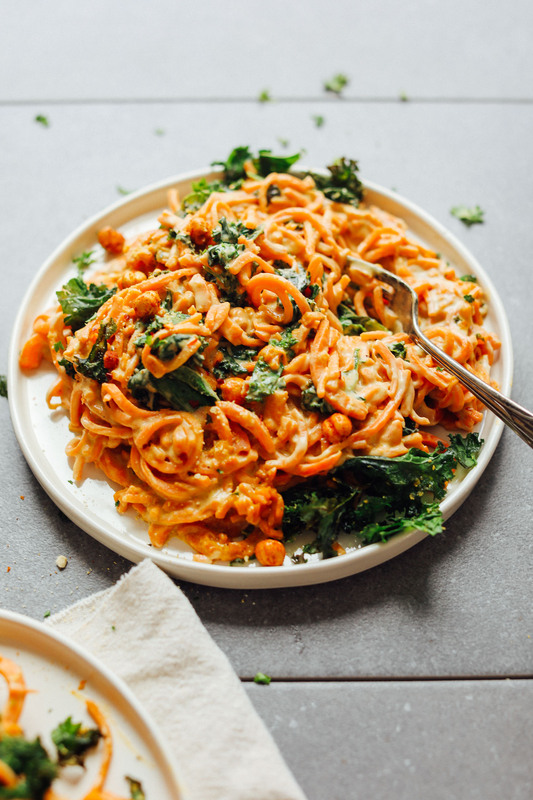 Hands down you are my favorite plant-based blogger because I, too, am put off by super fancy, time-intensive recipes. Ain’t nobody got time for that (at least I don’t). Your cooking recipes also are so easily adaptable, and I usually just add more/different veg and maybe add more sauce or broth to balance it out, and everything still comes out great. I made your potato, chickpea, and carrot curry from the cookbook last night, and I woke up dreaming about the leftovers I will have for dinner tonight (and freeze for lunch next week). Thank you for making my life easier and more delicious! Thanks so much for the kind note, Lauren! We are so glad you are enjoying our recipes! You guys are THE BOMB. I make one of your recipes at least once a week. THANK YOU for all that you do. 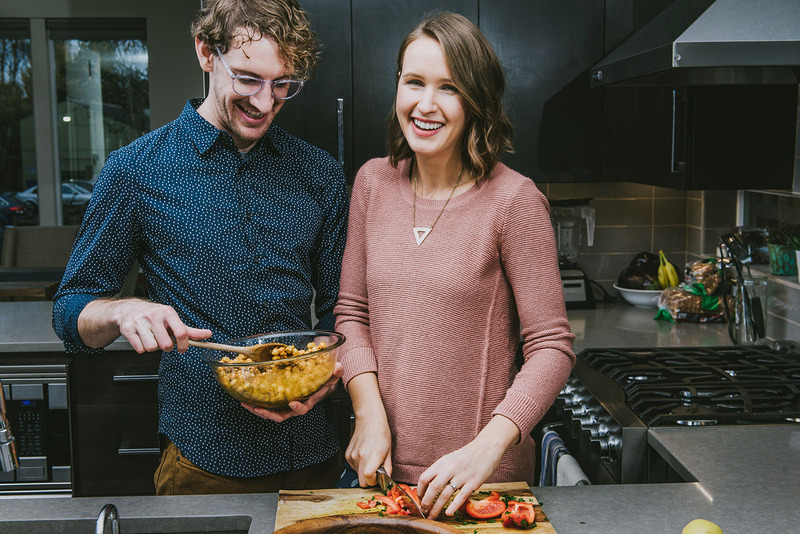 You two have got to be the most adorable food bloggers! Thanks for the recipes and keeping us on the healthy track especially for this 50 year old vegetarian! Would you do recipes with an InstaPot?? I’m looking for ideas.. thanks! A friend recommended your Ckicken Tortilla Soup, how wan I find the recipe? Hi Elizabeth! We don’t have a chicken tortilla soup, could you be thinking about this one? I plan on trying at least two of the recipes I decided to go plant-based. I work in a vegetarian school cafeteria, and I love your recipes! When I saw the ebook offer and the 100 or do Christmas recipes I was excited to download them. But when I touched the pictures nothing happened. And, as I like to look over each recipe before I decide to use it, having to go through the touch process with each recipe got too tedious for me. It would be wonderful if, when you have a cluster of recipes, they could be downloaded into iBooks or into kindle so we could look at them as a group, saving time and tediousness. Your recipes are generally fantastic and I love to recommend them often. Thanks for all of it! Hi Dana. Your recipes are awesome. I have a feeling we love the same foods….tacos, Mediterranean, peanut butter-banana-chocolate combos of any sort…the list goes on. I have yet to find a recipe that I don’t enjoy. I’m amazed at how simple they are too! Your blog has been a lifesaver for me trying to pursue a healthier, simpler, plant-based lifestyle. I am so grateful that I found your site. Thank you! With my arsenal of your recipes and the 31 day meal plan, I’m ready to make 2018 my healthiest yet…cheesy, but true. Thanks for all you do. Happy New Year! I have your cookbook, it is full of tabs (recipes most frequently in rotation), also have a thick binder of recipes printed from vegan blogs – many of them yours. With very minimal exceptions (and I tend to think that failures are probably pilot error – blush), your recipes are always 5/5 stars, husband approved (that’s a high bar), with reliable and clear directions. Easy for anybody to follow (not intimidating even for a beginner, as it is clear what one should expect the outcome to taste like), yet interesting enough for a seasoned cook, and above all the variety of flavours keep vegan eating interesting. My background is German/Middle Eastern/Jewish, but I cook a lot of Indian, Thai, Mexican, in addition to having veganized the recipes I grew up with (and a lot of Middle Eastern foods are already vegan, just leave off the Feta) – I continue to find inspiration in your blog (it was your blog that finally persuaded me to try kale, and now we eat kale every week! ), please keep up the great work! xoxo for 2018! I love all of your recipes and I’m looking forward to the recipes in 2018 ? Also thank you so much for the gluten-free cinnamon rolls, I have been looking for one for a while! Happy new year and thanks so much for all your fabulous recipes. One that particularly blew me away was your GF Birthday Cake. I made it for my 3-year-old daughter for her birthday. It was spectacular and held up amazingly well in the fridge for days without getting gluey or dry. I was so impressed! It’s my new go-to. I was hoping you might be able to create a vanilla version of the birthday cake. I would also love GF bread recipe for the breadmaker. I can’t seem to find a vegan one that won’t cave in the middle. Thanks again for your wonderful food! Dana and John, you guys rock ? Thank you for this blog! My husband and I switched to plant based cooking and eating at home and your recipes made it an easy transition! Happy new year! Thanks for all your hard work — excited for 2018! Haha, that’s awesome! Thanks for sharing! Hi honey! My name is Marena and I am a college student living in Massachusetts. Growing up I didn’t have a mother around to teach me how to cook- let alone share recipes with. However, growing up I loved to bake boxed brownies and share them with my friends and family. Sadly, boxed brownies aren’t healthy and so in addition to that, the other unhealthy foods I was eating gave rise to many health issues. As I grew older I became more interested in healthy foods and paired that with my previous love for cooking and sharing food. So, through my interest and need for a healthier diet I came across your blog. Now almost two years later my love for cooking and healthy foods has grown tremendously as well as my skills and recipes thanks to you ? Just as I did when I was younger I continue to share goodies with my friends and family and have turned them on to healthy foods and alternatives to favorites like brownies. So, I thank you for your dedication to this blog, hard work, and consideration for those who have special diets. I hope you receive back just as much as you’ve given ? So kind! Thanks for sharing, Marena! What an encouraging story! Thank you for posting it. I just recently found your blog and I love everything about it! As a new vegan your recipes have been essential to my new cooking skills! So looking forward to what is in store for 2018! Thank you! I can always count on your recipes! Thanks for providing this vegan with many, many choices! I am a new reader and have a special request. I would love to have a healthy, plant-based recipe that makes something I could cut with cookie cutters. I’m a mom and I know my kids would enjoy food in fun shapes, but all the recipes I can think of to use them are not the kinds of foods I want to encourage my kids to eat. Hi Erin! We will add it to the list! I found your blog at the beginning of 2017 and haven’t stopped making your recipes since! You’ve helped me convert my usband into a plant-based eater and I am so thankful! Your cookbook sits on my kitchen counter and I love sharing your blog with others. Thank you for being genuine and so dedicated to your work. It is so appreciated (as are your recipes)!!! Just made your coconut curried lentils and it’s a hit — my picky son even ate some and liked it! Love your focus on whole foods, plants and avoiding gluten. Happy New Year! Can’t wait to see what you do in 2018. Thanks for the kind suggestion, Kate! We’ll be working on exciting projects in 2018, and always appreciate requests! Your cauliflower tacos with romesco have become a favourite around here. Your recipes continue to be my go-to, daily, wouldn’t eat so well without your guidance! Looking forward to even more recipes, you guys rock!!! I have made so many of the recipes from the blog and also the book that I purchased last year,,Everyday Cooking, and honestly it doesn’t matter what I choose to make, everything turns out a 4 star,,,,, so tasty and healthy. Thanks for all the work it takes to come up with the recipes, you have my permission to keep tasting and creating in your jammies, ahha. I just made your red potato curry from your print cookbook for the twentieth time and it was so delicious! I paired it with your oh so tasty vegan naan bread. I am so glad I found your website – you have shown me that plant based eating can be tasty and simple and fun! Wishing you the best in 2018! LOVE the recipes on Minimalist Baker and your focussed approach to food blogging is an inspiration to a food blogger like me :) Wishing you a great 2018!